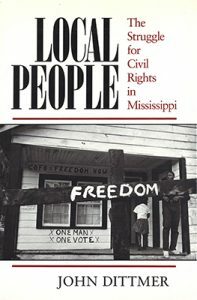 This guide is designed to show what kinds of materials are available at Hoole Library on topics related to African American history during the Jim Crow era, which starts with the end of Reconstruction in 1877 and ends in the 1960s, with the passage of the Civil Rights Act of 1960, the Civil Rights Act of 1964, the Voting Rights Act of 1965 and the Fair Housing Act of 1968. This scope was considered broadly, so the guide presents a mix of items which reflect daily life, act as an information source, or chronicle attitudes about race and related topics. This list is thorough but not exhaustive. Use these resources as a starting point for your own searching of Scout (for published materials) and ArchivesSpace (for archival/unpublished materials). Items designated with MSS or RG numbers are housed at Hoole Library. Items designated with W numbers can be found at the Williams Collection at Gorgas Library. Links go to online finding aids and, where available, digitized items. 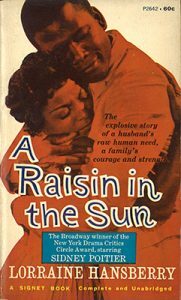 This section includes works that help contextualize what life was like for African Americans in the South and elsewhere. 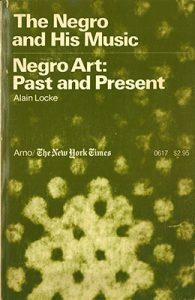 Some are works about Southern life or African American life, while others are examples of cultural trends. Both works feature photographs of rural Southerners, black and white, especially sharecroppers, taken during the Depression. 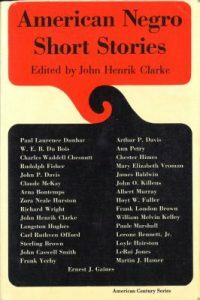 Caldwell was a popular Georgia novelist and Bourke-White was a photojournalist and editor from New York. Agee was a journalist and novelist from Tennessee and Evans, born in Missouri, was a photographer for the Farm Security Administration. All four were white. Carmer was a New Yorker, but he spent six years in the South as a professor at the University of Alabama. This work recounts his travels in the state during that period, where he met ordinary Alabamians and took in a variety of experiences, many of them sensational. Cason was a native Alabamian, although he did leave the South for a time to work as a journalist. 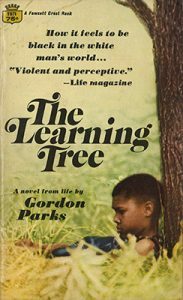 After his return to his alma mater, the University of Alabama, to teach journalism, he wrote this book of essays that took on many stereotypes about the South, especially those of blacks and poor whites. Click on the links below to see the finding aid (more detailed information) for the each collection. 80 photographs (copies) taken by the Farm Security Administration’s photographers of Alabama agriculture and industry during the Depression, with images of white and African American sharecropper families and homes, churches, schools and farm scenes, taken around Moundville, Eutaw, Selma, Scottsboro, Greensboro and Birmingham, Alabama. 37 framed portraits and other photographs, most of men serving in World War I and World War II, many of them African American. Photograph album of an African American family, probably from around the Washington, D.C., area, depicting everyday life, travels to Niagara Falls and Atlanta, and campus life at Claflin University, Orangeburg, South Carolina and other scenes from the countryside of South Carolina. Nearly 2000 photographs, some personal, others showing the establishment of Woodward Iron Company industrial sites throughout Alabama, including industrial photos detailing construction, operation and the everyday lives and company towns of workers black and white. Photographs, letters, programs, and other materials created and collected by Lee, who was director of the Tuskegee Choir for twenty-five years (1903-1928). Correspondence, concert programs, and other miscellaneous documents of Ephraim Madison Henry, covering his time at Tuskegee Institute, particularly with the school’s choir. 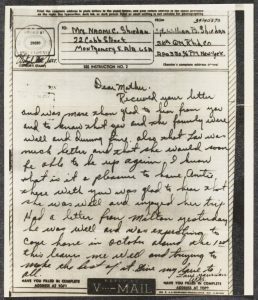 Letters from this soldier who served in the 310th QM RHD Company during World War II to his family in Montgomery, Alabama. “The Alabama Obligation,” about conditions at a school for African Americans in Brewton Alabama during the early to mid twentieth century. A love letter from William Castleman in Sparta, Kentucky, to Lura C. Baker in Verona, Kentucky. Letters written to and from members of the W. B. Matthews family in Atlanta, including one recommendation letter from W. E. B. DuBois, and a series of letters written by Joseph Cotter Jr. discuss race relations during World War I.
Trustees’ minutes, covering 1916-1924 (including parents’ rolls), of this school for African-American students in Loachapoka, Lee County, Alabama. 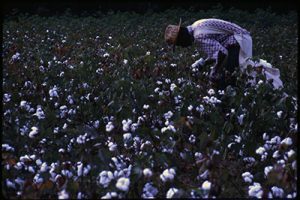 Papers of family that lived in Mississippi, Tennessee, and Alabama in the latter half of the nineteenth century and through the mid-1960s. photographs and snapshots from the estate of Thelma O’Brien of Boston, Massachusetts, and a letter from the assistant principal at the Horace Mann School for the Deaf giving Ms. O’Brien advice on employment. Correspondence to Ms. Mary L. Scott, a teacher in Louisville, Kentucky, from three people along with a painting, two programs, and two felt pendants. 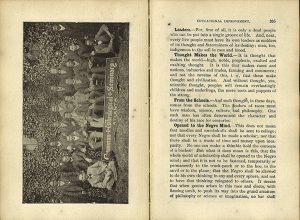 Photographs and snapshots as well as the junior high school diploma of Norris Hill Sr. of Akron, Ohio. Photographs from the estate of Doris Brown George of New York, and and article in the Amsterdam News about Ms. George chairing an NAACP dinner in 1984. Photographs and papers of this Alabama Methodist clergyman. Correspondence of this Birmingham, Alabama, minister of the A.M.E. Zion Church, principally concerning the struggle to remain solvent during the Great Depression. Records of this African Methodist Episcopal church in Burnsville, Alabama, from 1924-1973. Funeral, memorial, and wedding worship bulletins primarily from the Decatur, Alabama, area, from the 1930s through 2016. Autograph album that Ms. Malone took on various European tours with the Fisk Jubilee Singers between 1884 and 1891. Scrapbook on the Gant family, particularly on Henry Gant and his sons, Eugene (Gene) and Tim. Two forms discharging James Smith, an African American born in Tuscumbia, Alabama, from the United States Army Tenth Cavalry Regiment, in 1872. Photocopy of Black’s autobiography, “After The Fact: 20/20 Hindsight,” which covers Black’s youth in Beatrice, Monroe County, Alabama, his upbringing, education, teaching career, and political life in Washington. Letters showing Manning’s efforts to stop the disenfranchisement of African American voters in Alabama in early twentieth century. This section focuses on ideas and discourse about race and race relations. 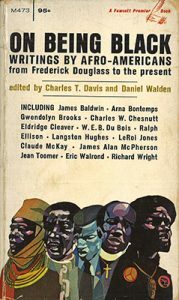 It includes the writings and philosophies of prominent African American leaders, thinkers, and scholars; materials focusing on the Civil Rights Movement, including groups like the NAACP and Southern Christian Leadership Council (SCLC); and materials from the forces the countered it, like the Ku Klux Klan and the Citizens Councils. Note: The placement of an item or collection in this section doesn’t indicate the perspective of the creator, just that the piece is about the topic. There will be some items critical of the movement. 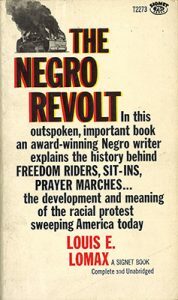 Shuttlesworth was one of the central figures in the Civil Rights Movement.He discusses the role of the NAACP and churches, dealing with opposition from the Ku Klux Klan and Bull Connor, and the unwillingness of whites to speak up. Shores was an attorney involved in the Civil Rights struggle, including helping Autherine Lucy gain admittance to the University of Alabama in 1956. Mimeographed handout and schedule, Report on Alabama Justice, printed and distributed to attendees and participants of the Conference on Alabama Justice held at Tuskegee Institute on February 3, 1966. 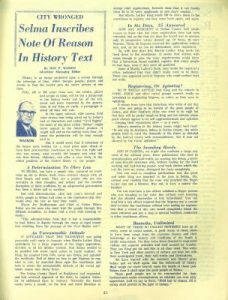 Pamphlets from the Citizens Council, a white supremacist organization, including their periodical, The Citizen (Oct. 1961-Mar. 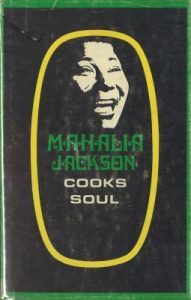 1968). Note: The placement of an item or collection in this section doesn’t indicate the perspective of the creator, just that the piece is about the topic. There will be some items critical of these movements. 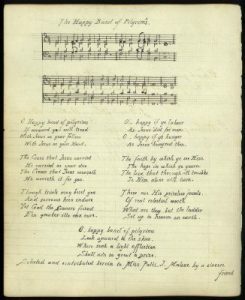 Folder of typewritten lyrics to thirteen Klan songs, based on popular, patriotic, and religious songs, originating from Danville, Kentucky. A copy of the handbook Kloran (5th ed. ), a leather wallet with the Klan seal, and a group photo of unidentified Ku Klux Klan women, belonging to a member in Birmingham, Alabama. Letters, receipts, and robe order forms from the Women of the KKK of Michigan. Pamphlet containing the names of Tuscaloosa, Alabama, residents who “signed the petition sent to Governor [George] Wallace,” presumably regarding the integration of the University of Alabama in 1963, and the names of the employers of the signers, illustrated with cartoons and with photos of James Hood and Vivian Malone. 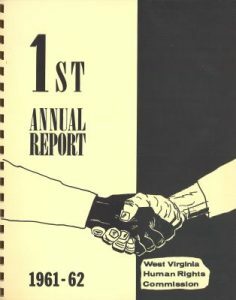 This section includes materials which provide information on the Civil Rights Movement or African American life, including newspapers and clippings, government reports (especially from the United States Commission on Civil Rights), and the papers of members of congress active during this time. Weekly African American newspaper, 1947-1963, published in Tuscaloosa, Alabama. Our collection runs through Oct. 1961, at which point the newspaper moves to Mobile, Alabama. It was eventually merged with the Mobile Beacon. Papers of this New Deal Democrat and Civil Rights supporter who owned the Anniston Star newspaper, including professional correspondence on editorials, letters to the editor, and events of the times; personal correspondence with other newspapermen, educators, and statesmen; and copies of editorials and clippings on Alabama politics, Anniston, education, the Federal Government, foreign affairs, religion, the South and segregation. Lecture notes, publications, and professional files of this Alabama native and Lousiana State University professor, on subjects including logic, religion, language, labor arbitration, and civil rights/segregation. 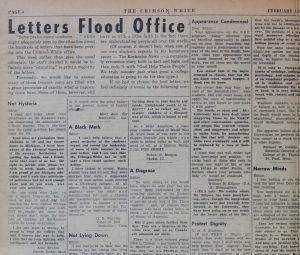 Papers saved by the chief of Marion, Alabama, police including legislative reports, police reports, photos, newspaper articles, letters, affidavits concerning demonstrations in Marion, Selma, and Montgomery, Alabama. Newspaper clippings, transcripts of interviews, press releases and presidential convention media packets, covering people and events and their influence on Alabama, includes files on various civil rights topics. 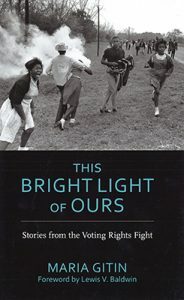 This section focuses on special topics within the larger umbrella of Civil Rights, including segregation, civil rights activities (marches, sit-ins, etc. ), lynching and mob violence, voting and politics, and labor. Some of these topics may also be discussed in other sections above, particularly in the section on Information Sources. Howard, a teacher, discusses the role of schools in the Civil Rights Movement (or lack thereof) and witnessing a march carried out in Birmingham by Martin Luther King Jr.
Williams, a domestic worker, discusses her experiences at marches during the Civil Rights Movement. Pegues recalls her active role in the Civil Rights Movement, including participating in marches and sit-in and being jailed; and her views on racism and social conditioning and on figures including Fred Shuttlesworth, Martin Luther King Jr., George Wallace, and Bull Connor. Russell, who ran a cafe that became a hub of civil rights activity, discusses her participation in the movement and registration to vote. Jackson, a domestic and custodial worker, discusses life during the Civil Rights Movement, including her fear of breaking the law and raising the ire of the Ku Klux Klan. Armstrong, a barber, discusses life under segregation, attempts to integrate, and his attempts to register to vote. 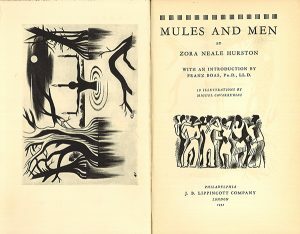 Walton discusses her experience of segregation and her registration to vote with the help of her white employer, as well as her fear of the Ku Klux Klan. Welch, a minister, discusses his attempts to register to vote and the role of the church in the Civil Rights Movement. Coke, a journalist, discusses his involvement in the labor and Civil Rights Movements as well as life under Jim Crow, including attempts to register to vote. Sykes, an industrial worker, discusses efforts to unionize at his iron pipe plant and the role played by race in those efforts. 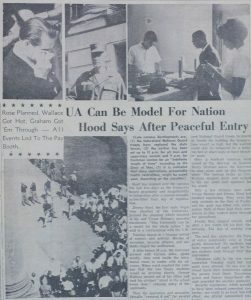 The University of Alabama was in the national spotlight in June 1963, as Governor George Wallace made his famous “Stand in the Schoolhouse Door.” Though the integration of UA by James Hood and Vivian Malone did not result in violence, the same cannot be said for the first attempt in 1956. That year, Autherine Lucy enrolled and attended classes but was ultimately expelled because the administration could not protect her against the mobs protesting her presence. This section includes sources about those events. These recent works are not only helpful sources of information, but they often point back to specific materials within our collections. Covers desegregation as well as the student protest movement of the late 1960s, which at UA involved the concerns and demands of the new and active black student population. Photographs taken in February 1956 when Autherine Lucy became the first African American to enroll in and attend classes at the The University of Alabama. Robinson was a UA staff photographer. Photographs taken by James William Oakley Jr. during the week that Autherine Lucy, the first African American student at The University of Alabama, enrolled in February 1956. Oakley was a UA student. Photographs of the first African American student admitted to the University of Alabama, Autherine Lucy, enrolling at The University of Alabama in February 1956. The collection contains the papers of Louis D. Corson, Dean of Men at The University of Alabama from August 1955 through December 1957. 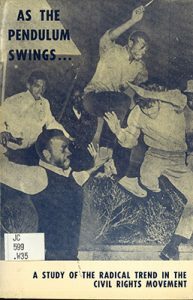 Included are correspondence, documents, newspaper and magazine articles, as well as photographs concerning the on-campus riots over the enrollment of Autherine Lucy on February 3-6, 1956. There are also copies of articles and magazines dealing with the state of college and university education and integration across the country. Court documents dealing with a suit brought by Autherine Lucy and Polly Anne Myers against the University of Alabama, as well as an invitation to her 1956 wedding and a newspaper clipping written when she graduated from UA with her masters in elementary education. Newsletter created by those opposed to integration at Southern colleges. 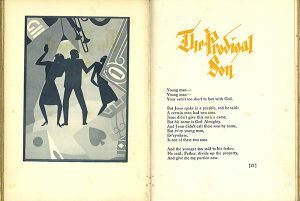 Different versions were published at various schools, including Clemson, Ole Miss, and UA. We have three issues from February/March, August, and November 1963.